Eaglescliffe Medical Practice has a Patient Participation Group which was established in 2015. We meet monthly and our AGM is in September. We are affiliated to the National Association for Patient Participation. To support the practice and staff as they strive to continually improve the provision of healthcare. To make stronger the relationship between patients and the practice, which is critical to the provision of modern, high-quality general practice. To work towards improving patient experience. We would very much like to hear your views. 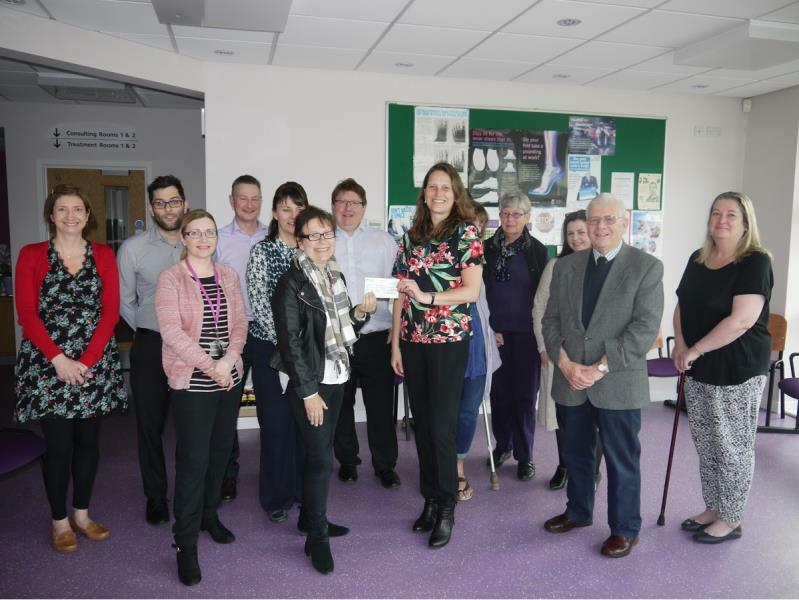 In 2017 we raised over £2,000 to purchase 2 new ambulatory blood monitors. These devices take a blood pressure reading over a 24 hour period to give you an average reading. The monitors are compact and lightweight to optimise patient comfort. 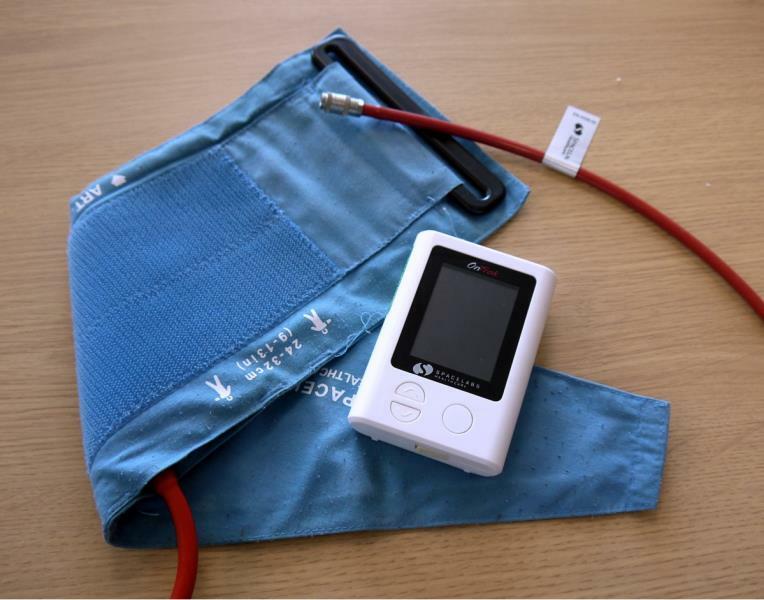 We are delighted with the introduction of two devices and they have made a difference by reducing the practice waiting times to be monitored and diagnosis. In 2018 we raised funds to purchase 2 additional pulse oximeters with our young children in mind. These devices take a reading on your oxygen levels and are useful in evaluating the severity of an illness, to help determine whether the patient needs further treatment. 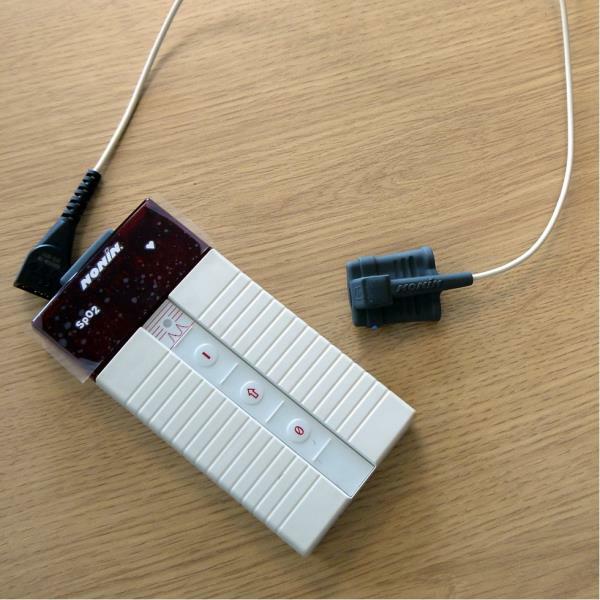 Our fundraising helped to purchase the devices along with the finger probes specifically for young children. The need for specialised equipment is an ever-growing list for the practice with items breaking, technology develops and new items are brought onto the market. It was brought to our attention by patients that there was a need to review standard letters which are sent out after various medical tests. This year we have worked with the doctors and admin team to update these standard letters and this is an on going process. Recently we have been working along side the staff to improve the information provided on the practice website. We hold occasional tombola and raffles - these will be advertised on this page. Please pop along and take a look at the collection of books we have had kindly donated by our patients. 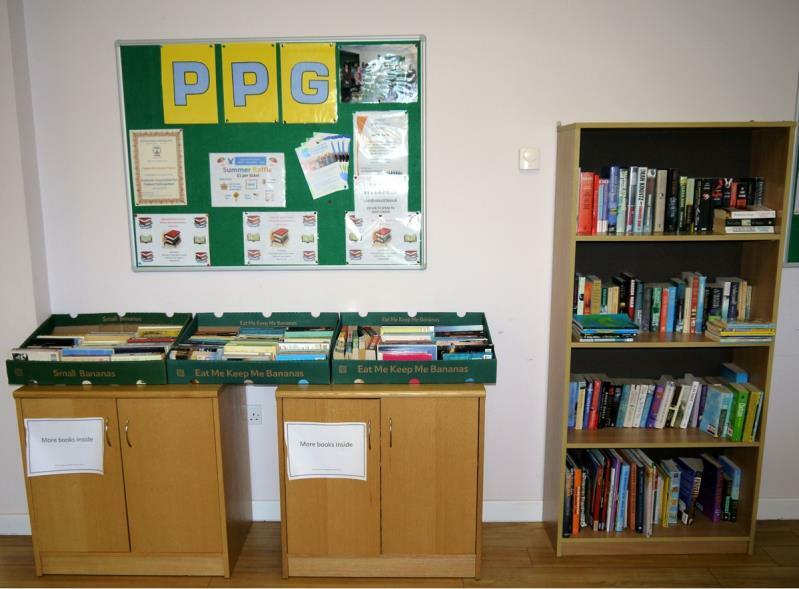 You may find a couple of books for the summer at only 50p per book and all donations go towards the PPG fundraising. We are happy to receive any unwanted books for our stall - please just drop them off at reception. We also invite speakers from outside agencies and other medical professionals along to our meetings and have also had valuable input from the staff at the surgery. For example recently we have had talks from Health Watch, Catalyst Stockton, Care Co-ordinators and our Practice Pharmacist.